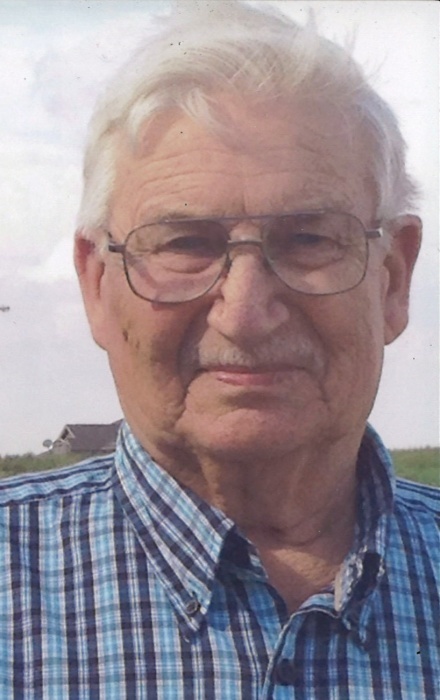 Phillip H. Petersen, age 80, of Holstein, passed away on Tuesday, June 19, 2018 at the UnityPoint Health St. Luke’s of Sioux City. A funeral service will be held on Saturday, June 23, 2018 at 10:00 AM at the Nicklas D. Jensen Funeral Home of Holstein with the Rev. Paul D. Egger officiating. Burial will be at a later date at the Grandview Cemetery of Quimby. A visitation will be held on Friday, June 22, 2018 from 6:00 PM – 8:00 PM at the Nicklas D. Jensen Funeral Home of Holstein. Phillip H. Petersen was born January 23, 1938 to Johannes Martin and Frances Eileen Petersen in Cleghorn, Iowa. He graduated from Aurelia High School in 1956. Upon graduation he joined the Army Reserves and served until 1964. Phillip was united in marriage to Judith Anne Sands on August 28, 1960 in Aurelia. To this union two daughters were born, Phyllis and Tammy. Phillip worked at Structural Designs in Holstein, IA and was a foreman at Holstein Lumber and also worked at Kirk Gross and Co. He enjoyed fishing, collecting fishing poles, tinkering in his shop and taking morning Casey’s runs. Phillip was a member of the American Legion Dessel-Schmidt Post #225 of Holstein. He also volunteered as a Sunday School Superintendent at the Pilgrim Lutheran Church of Quimby. He is survived by his wife Judy of Holstein, IA; daughter, Tammy (Doug) Pauley of Galva, IA; grandchildren, Tiffany (Dan) Hanson of Holstein, IA, CJ (Abby) Petersen of Cherokee, IA; Amanda (Nick) Currie of Schaller, IA, Hayley Kistenmacher of Loveland, CO and Sydney Kistenmacher of Galva, IA; and also four great-grandchildren. Phillip was preceded in death by his parents; daughter, Phyllis Ricklefs and sister Caroline.